On March 25, 2017, about 1425 central daylight time, a Cessna 210L, N6563D, was destroyed during a uncontrolled descent and subsequent inflight breakup near Hayden, Alabama. 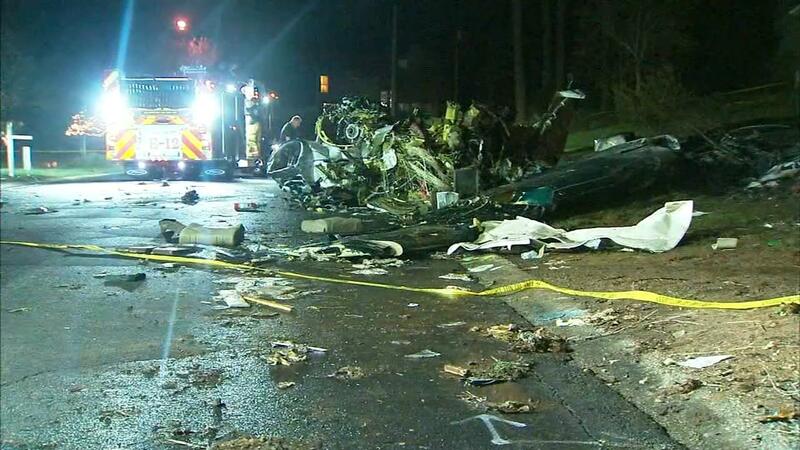 The pilot and three passengers were fatally injured. Instrument meteorological conditions prevailed and an instrument flight rules flight plan was filed. The flight originated from Kissimmee Gateway Airport (ISM), Orlando, Florida, and was destined for Mc Kellar-Sipes Regional Airport (MKL), Jackson, Tennessee. The personal flight was conducted under the provisions of 14 Code of Federal Regulations Part 91. 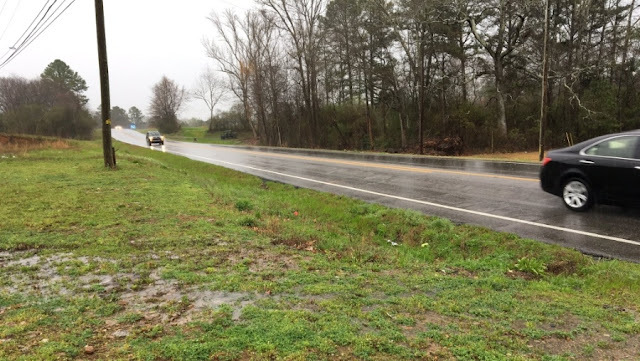 According to preliminary air traffic control (ATC) radar and voice communication data provided by the Federal Aviation Administration, ATC described moderate to extreme precipitation to the pilot and asked if the pilot needed to deviate. The pilot replied that he would go anywhere the controller thought was the quickest route across the weather. The controller replied that he did not have a better route, and allowed the pilot to deviate as necessary, instructing the pilot to proceed to his destination when able. The airplane then began to descend, and the controller instructed the pilot to maintain 12,000 feet. The airplane continued to descend and the pilot advised ATC "I'm doing the best I can." The controller advised the pilot that turning to the east or southeast would be away from the weather. The airplane continued descending and the pilot did not respond. ATC advised the pilot that he was descending thru 5,800 feet and to check his altitude. There was no response, and shortly after radar contact was lost. 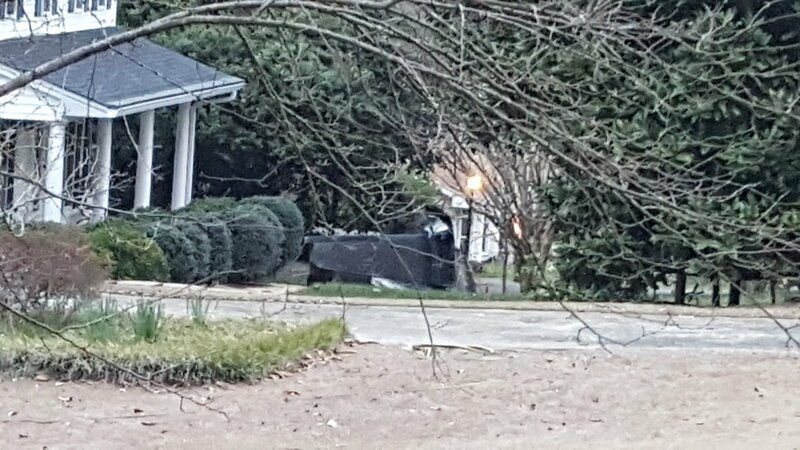 According to a witness, he was standing in his driveway and noticed how windy it was, and that the trees were leaning over almost 90 degrees. He said that it was not raining but he did hear thunder in the distance. He reported hearing an airplane flying above making a "weird" sound. He said he heard a loud "boom" and started seeing pieces of the airplane falling out of the sky, but did not see it break apart. He then saw the fuselage of the airplane which was spinning through the air heading towards the ground. 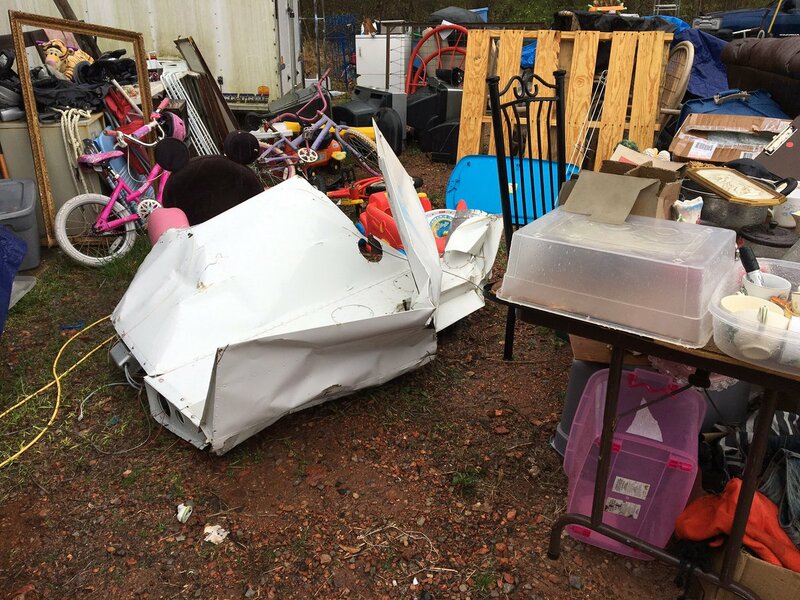 The wreckage was scattered over a large area that included dense vegetation. The debris field was about one mile in length, oriented toward 247 degrees true. The first component located along the debris field was the left elevator. 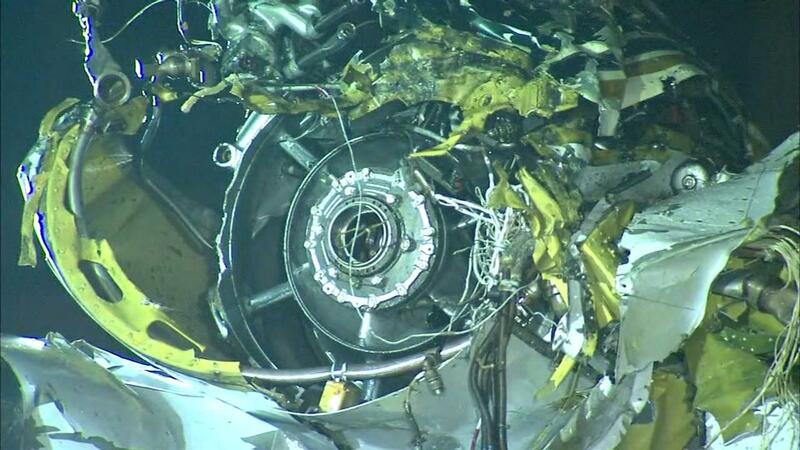 Additional components located along the debris path included fragments of the right wing and the left-wing assembly. 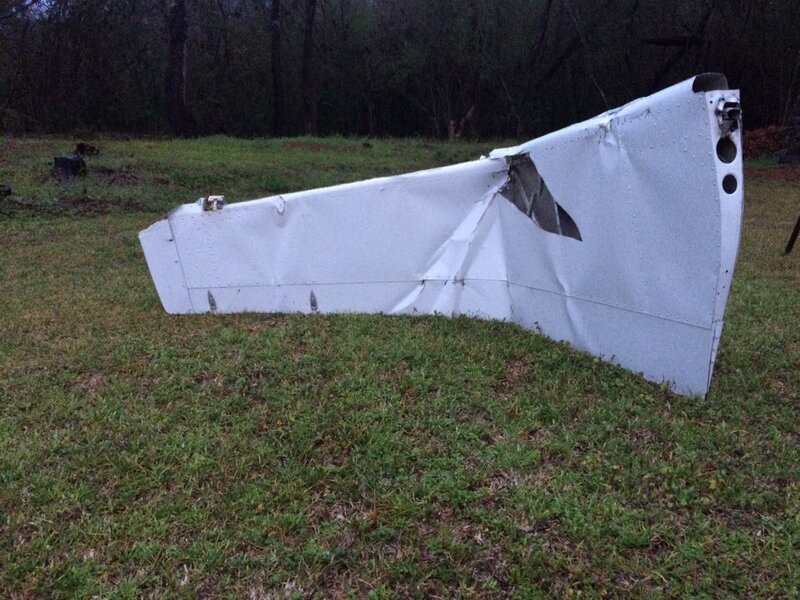 The fuselage came to rest at the end of the debris path in a dense wooded area. The fuselage, cockpit, cabin section, empennage and engine were destroyed. The wreckage was recovered from the site and retained for further examination. Those who may have information that might be relevant to the National Transportation Safety Board investigation may contact them by emaileyewitnessreport@ntsb.gov, and any friends and family who want to contact investigators about the accident should emailassistance@ntsb.gov. 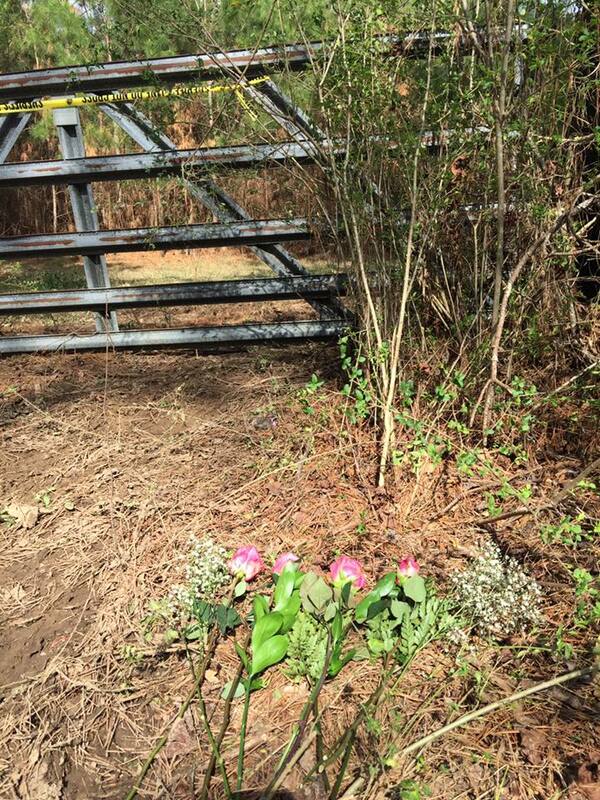 Joseph and Jennifer Crenshaw of Jackson, TN, along with their two children Jacob and Jillian, lost their lives following a weather-related aircraft accident on March 25th, 2017. Joseph Connell Crenshaw, 46, was born on June 16, 1970 in Jackson, TN to Nancy Crenshaw and the late Dr. Tom Crenshaw. He is survived by his mother, Nancy Connell Crenshaw of Humboldt; his brothers, John Crenshaw and Tim Crenshaw; three nieces and two nephews; and his father and mother-in-law, David and Lynn Nance of Trenton. Joseph was a graduate of University of Tennessee at Martin. 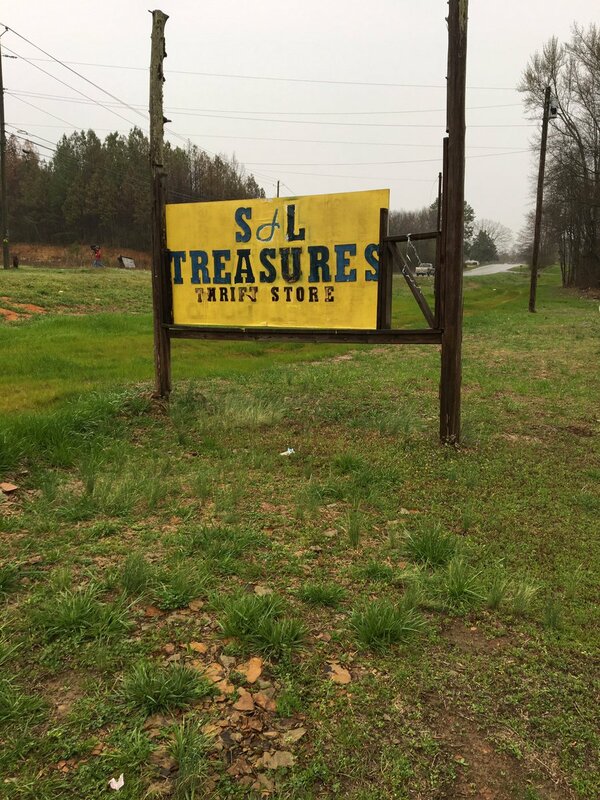 He was a Certified Financial Planner, Chartered Retirement Plans Specialist, and Accredited Investment Fiduciary of First Tennessee Bank. 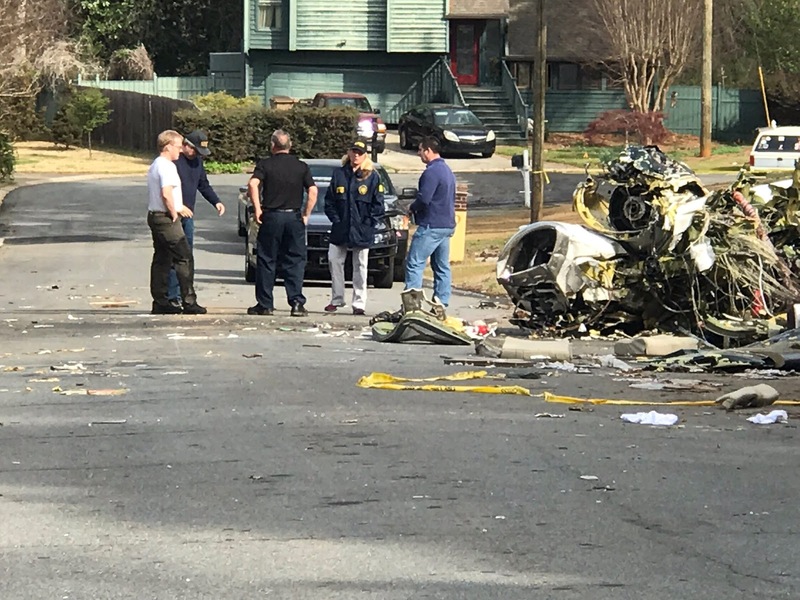 He was also a former Board Member of University School of Jackson where his children attended as well as an Instrument-Rated Pilot and a much beloved father and husband. Joseph hosted the neighborhood Fourth of July fireworks extravaganza each year. He was an intelligent, ambitious, and funny Tom Cruise doppleganger. He fought for his family and truly was the glue that held them all together. Jennifer Dawn Nance Crenshaw, 43, was born on January 31, 1972 in Jackson, TN to David and Lynn Caraway Nance of Trenton. She is survived by her parents, David and Lynn Nance of Trenton; her sister Laura Lynn Springfield of Jackson; two nieces and one nephew; and her mother-in-law, Nancy Crenshaw of Humboldt. Jennifer "Ginger" Crenshaw obtained her Bachelors of Science degree from University of Tennessee at Martin and her Registered Nursing degree from Union University. Ginger was a Certified Private Pilot, who enjoyed painting and art, and entertaining family and friends. Jennifer was, first and foremost, a devoted mother and wife. Jennifer was a beautiful spirit who adored her kids more than anything and fiercely protected them. These Crenshaws were true soulmates and stayed together through thick and thin. This family lived well and were loved more than most. This is why they will be missed so very much! Jacob Addison Crenshaw, 16, was born on August 10, 2000 in Humboldt, TN to the late Joseph and Jennifer Crenshaw. He is survived by his maternal grandparents, David and Lynn Nance of Trenton and his paternal grandmother, Nancy Crenshaw of Humboldt. Jacob "Thunder Calves" Crenshaw was a sophomore and avid football player at University School of Jackson. He was a four-year member of the USJ band where he played the drums. He also enjoyed playing "Dungeons and Dragons" competitively with his friends. He was a loyal, dedicated, vivacious and handsome young man. He truly inspired those around him with his commitment and positive spirit. Jacob was a natural leader and role model to both his family and friends. Jillian Celeste Crenshaw, 14, was born on February 17, 2003 in Jackson, TN to the late Joseph and Jennifer Crenshaw. She is survived by her maternal grandparents, David and Lynn Nance of Trenton and her paternal grandmother, Nancy Crenshaw of Humboldt. Jillian was an eighth grader at the University School of Jackson. Jillian was a USJ Scholar, a tennis club member, and a National Presidential Fitness Award Recipient. She was actively involved in both Kincaid-Gooch Voice Studio and University School of Jackson musicals and plays. Jillian was an incredibly talented and riveting aspiring young actress and singer. She was smart, funny, sensitive, kind and had an infectious smile that would light up an entire room. The period of visitation will be held for two hours on Saturday, April 1, 2017 from 11-1 p.m. at West Jackson Baptist Church. A funeral service will be held on Saturday, April 1, 2017 at 1 p.m. at West Jackson Baptist Church with a private family burial to follow. 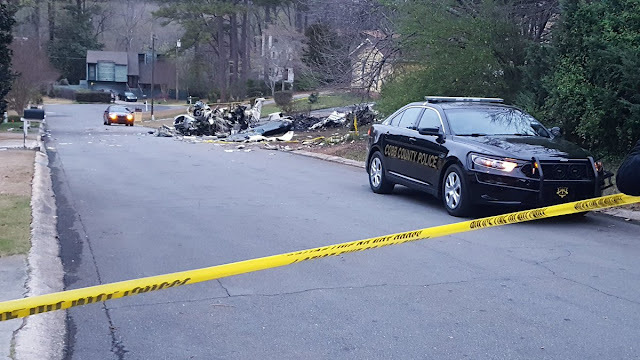 On March 24, 2017, about 1925 eastern daylight time, a Cessna 500, N8DX, collided with terrain in a residential neighborhood near Marietta, Georgia. 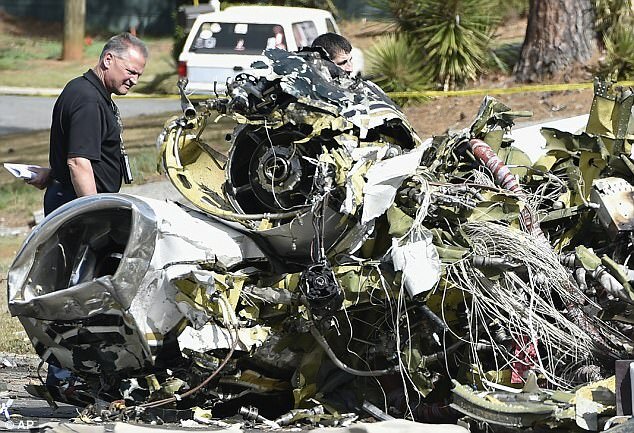 The private pilot, and sole occupant, was fatally injured. The airplane was destroyed by the impact and post-impact fire. The airplane was registered to Shelter Charter Services Inc and operated as a 14 Code of Federal Regulations Part 91 business flight. Visual meteorological conditions existed near the accident site at the time of the accident and the flight was operated on an instrument flight rules flight plan. The flight originated from Cincinnati Airport - Lunken Field (LUK), Cincinnati, Ohio, about 1810, and was destined for Fulton County Airport-Brown Field (FTY), Atlanta, Georgia. 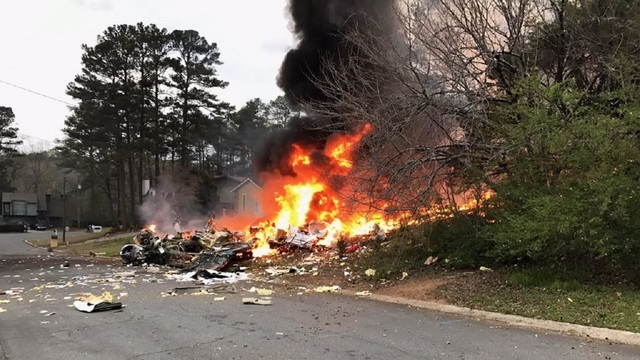 A preliminary review of air traffic control (ATC) radar and radio communications information provided by the Federal Aviation Administration revealed the pilot was in contact with the Atlanta Air Route Traffic Control Center, and had requested a radar vector direct to FTY. The pilot stated that the reason for the request was because his autopilot was not working and he was having steering problems. 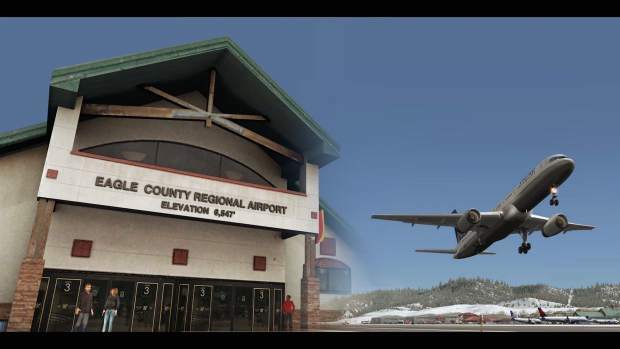 When the airplane was about 15 miles north of FTY, ATC lost radar and radio contact with the flight. Several witnesses observed the airplane prior to the accident. A witness, who was a professional pilot, stated that he observed the airplane flying level on a southerly heading about a 1,000 ft below the cloud layer. The witness said there was nothing unusual about the airplane until it made a complete 360° roll to the left before entering a steep 90° bank to the left. He described it similar to a "military high key turn." 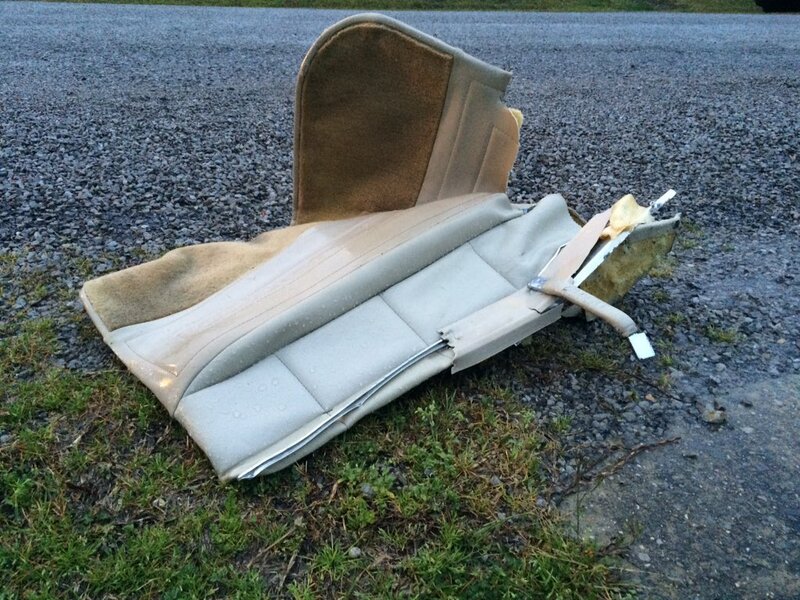 The witness said the airplane then rolled inverted and entered a vertical nose down dive. He said, "The airplane entered a slow counterclockwise spiral as it started its dive..." before it disappeared from his view behind trees. Another witness stated that she observed the airplane make two complete "barrel rolls" with the nose of the airplane slightly "elevated." During the second roll, the airplane slowed before the nose pointed down and began to spiral counterclockwise. She said, "As the airplane descended, we heard a 'whoosh', followed by the impact explosion and saw the plume of smoke. At no time do we recall hearing engine noise." 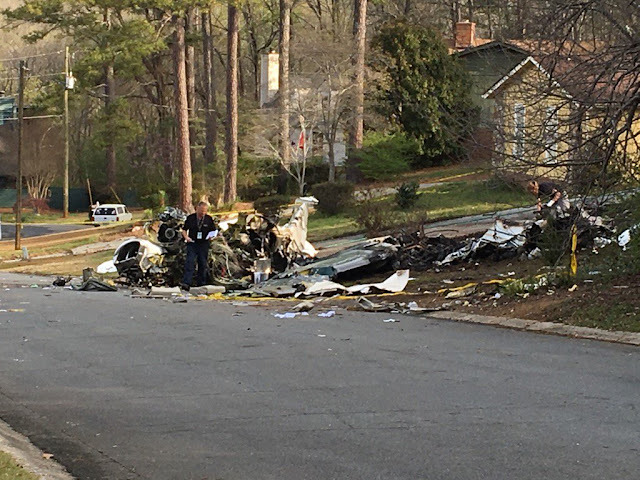 The airplane impacted the front yard of a home in a residential neighborhood in a nose level/wings level attitude. An indentation in the ground about the same size and shape as the left wing was noted in the front yard of the house. 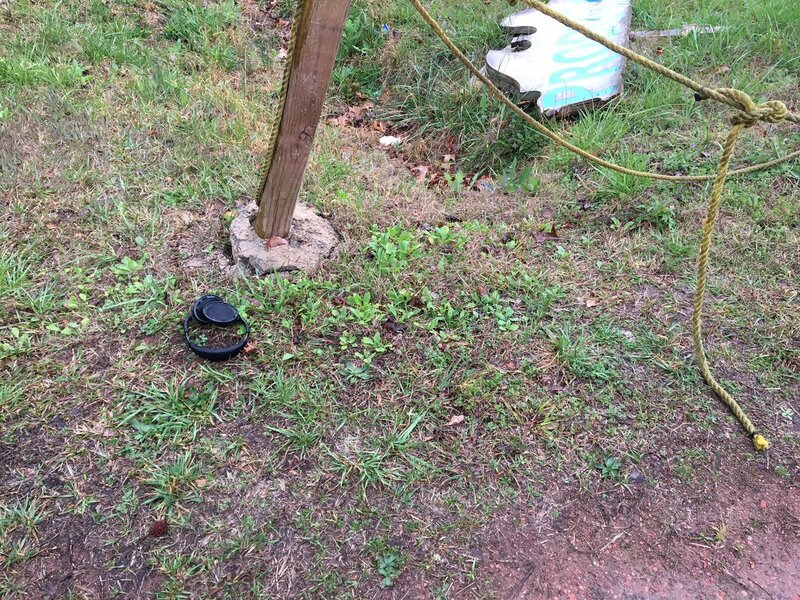 The wires and trees close to the house and driveway were undamaged. There were no ground injuries. 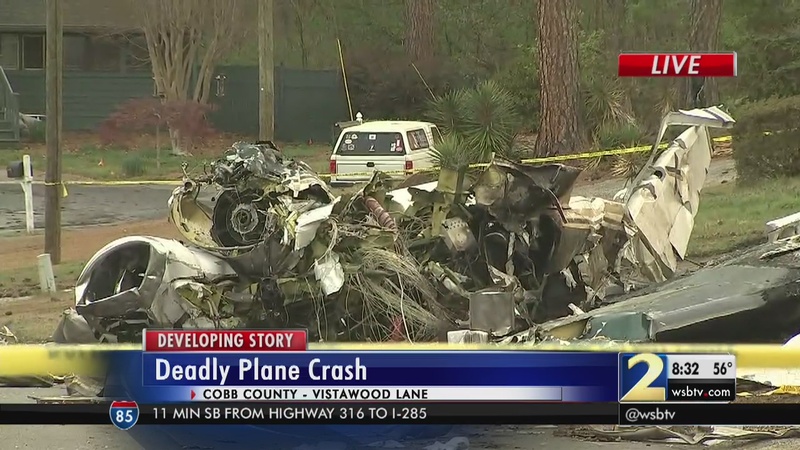 The pilot held a private pilot certificate with ratings for airplane single-engine land, single-engine sea, multiengine land, and instrument airplane. His last FAA third-class medical certificate was issued on September 27, 2016. At that time, he did not report his total flight time; however, on his previous medical application in 2013, he reported a total of 6,000 flight hours. 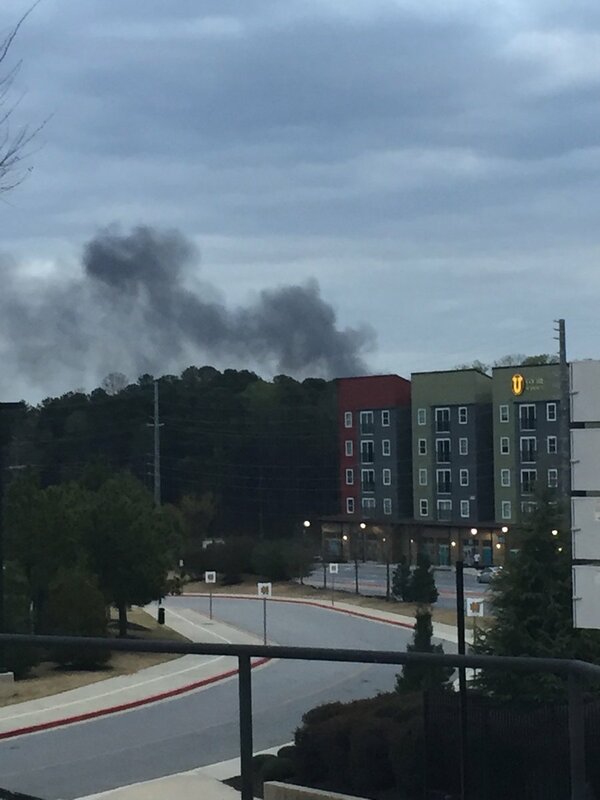 The weather conditions reported at Cobb County-McCollum Airport (RYY), located about 3 miles west of the accident site, at 1947, included wind from 160° at 8 knots, visibility 10 statute miles, an overcast ceiling at 5,500 ft, temperature 21° C, dewpoint 9°C, and a barometric altimeter setting of 30.28 inches of mercury. 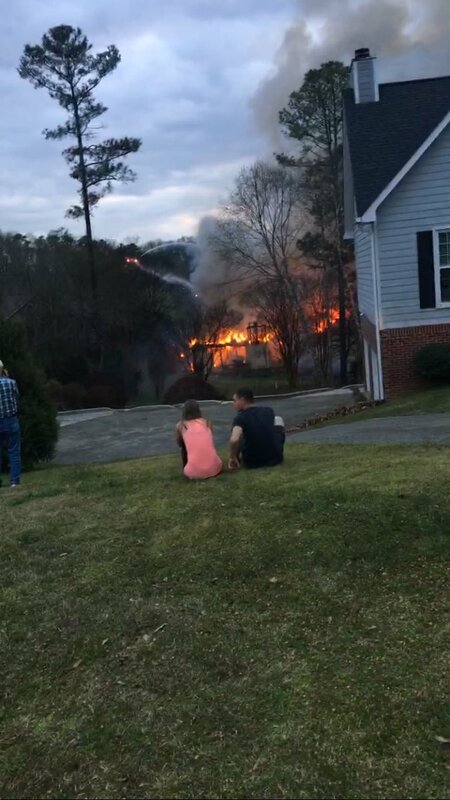 Marietta residents Norm and Barbara Keller were not at home Friday when a Cessna 500 Citation I Sierra Eagle plane spiraled into their front yard, setting their home ablaze. They thank God for that. The Kellers were having dinner at St. Joseph Catholic Church, a common practice for observant Catholics during Lent, a period of religious reflection leading up to Easter. “We went to our local church’s fish fry and then we did the Stations of the Cross,” Norm Keller said, referring to the practice among some Christians of symbolically tracing the steps of Jesus Christ’s life leading up to the Crucifixion. The Cessna 500 Citation I Sierra Eagle reportedly was flying from Cincinnati to Fulton County Airport about 17 miles away from the Keller home when it spiraled into the suburban Cobb County neighborhood. 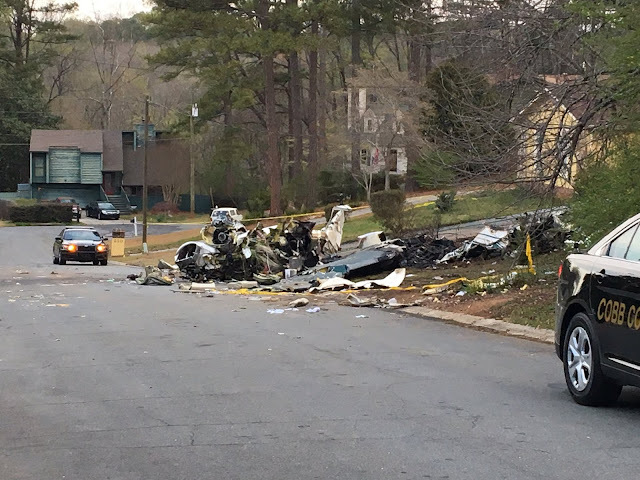 The pilot, 78-year-old Robert George Westlake of Atlanta, was killed. 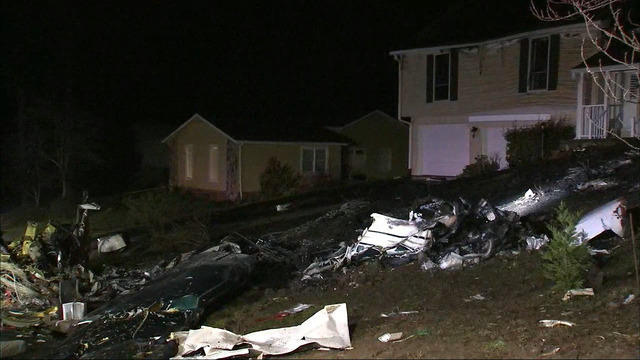 Investigators said Westlake radioed moments before the crash that he was having trouble with his autopilot. Flames spread from the crash and consumed the Kellers’ home. Norm Keller said he and his wife wondered whether they would have been quick enough to make it out of the house without injury. 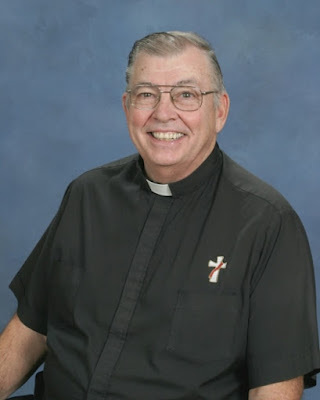 Although the Kellers lost virtually everything in their home for the past decade, Norm, a deacon at St. Joseph, said he hopes prayers from the community go to Westlake and his family. 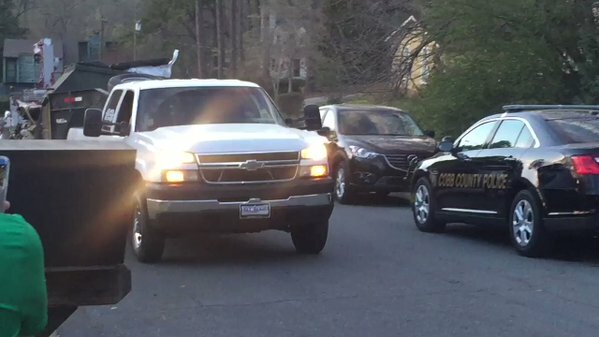 For now, the Kellers are staying with their daughter and plan to remain in the area. Norm Keller said their church, neighbors and the broader community have been very supportive. When they went to have their prescription medicines replaced at their local Publix, the store waved its fees and gave the Kellers flowers, lunch and a gift card. That and the support of family and friends is evidence of the “grace of God,” he said. “This is what the Scripture tells us,” he said. COBB COUNTY, Ga. - Cobb County police have identified the pilot killed in a plane crash in Marietta. 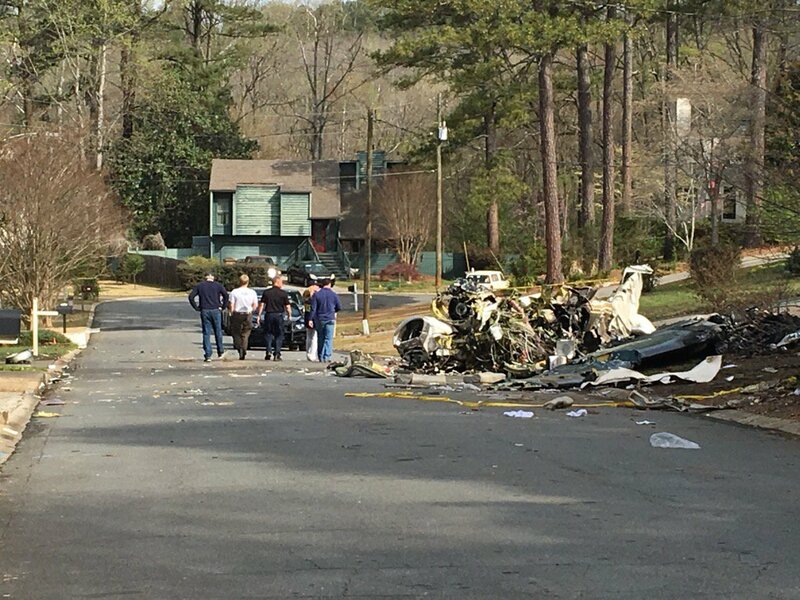 Police said Robert George Westlake, 78, of Atlanta, died in the crash that happened just after 7:30 p.m. Friday. "He was a dear father, grandfather and a good pilot. He will be dearly missed," the victim's son-in-law said in a statement. Police said the 1976 green/white Cessna Citation 500 jet, which was based out of Charlie Brown Airport in Fulton County was returning from a business trip in Cincinnati when the pilot radioed that he was having mechanical troubles. 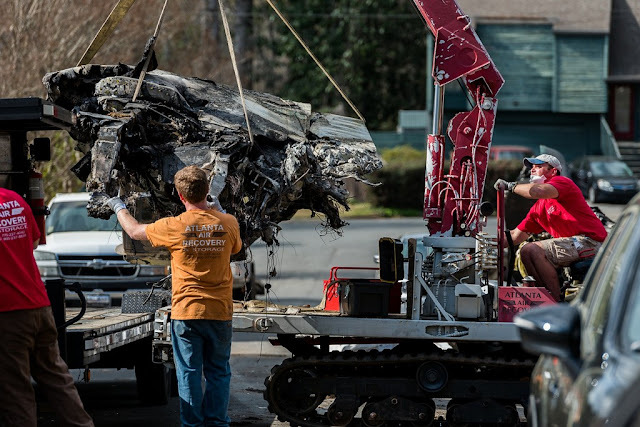 "He said he was having trouble with his auto-pilot," said Leah Read, a senior air safety investigator with the National Transportation Safety Board. Within moments of doing so, the plane crashed in the front yard of a house in the 100 block of Vistawood Lane in Marietta. “Everything just kind of went in slow motion,” witness Trey Richardson told Channel 2’s Nicole Carr. One house was destroyed due to intense fire and a second house sustained collateral damage due to the heat generated in the crash, according to police. The family living in the house that was destroyed was at church at the time. Norm and Barb Keller said they are grateful to be alive and their prayers go out to Westlake's family. 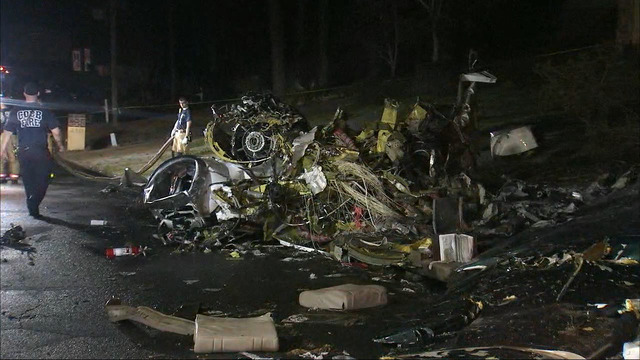 Representatives from the Federal Aviation Administration and the National Transportation Safety Board were at the crash site for two days and concluded their on-scene investigations Saturday evening. The NTSB will piece together the plane at its Griffin facility. 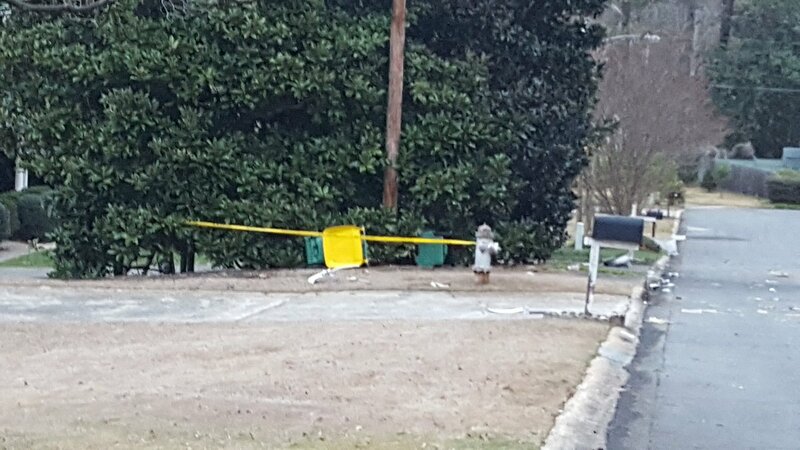 Investigators hope a cockpit recorder will officer critical information in their investigation. On March 24, 2017, about 1520 central daylight time, a Beechcraft V35B airplane, N2053Y, impacted terrain near Union City, Oklahoma. 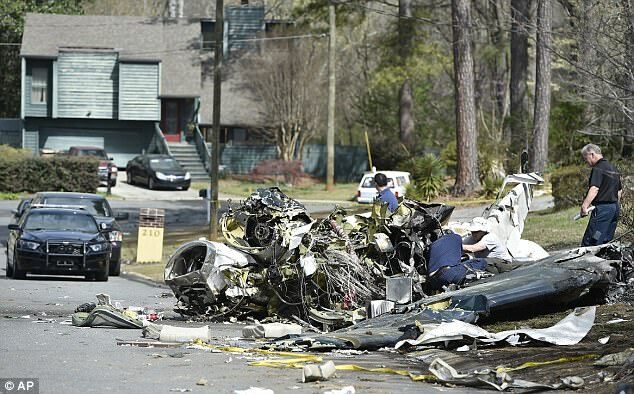 The pilot was fatally injured, and the airplane was destroyed. 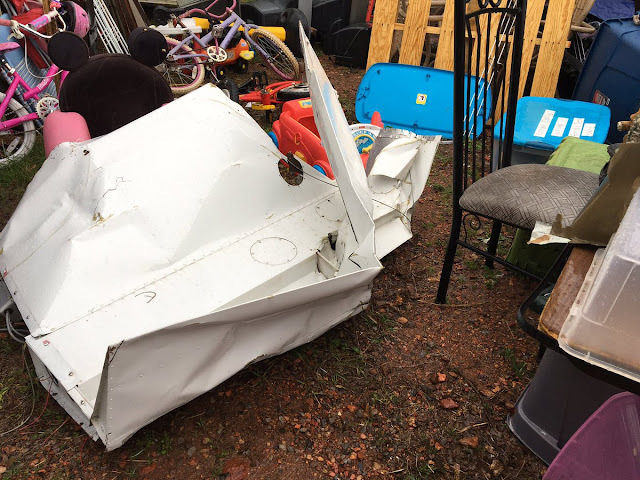 The airplane was registered to JE Aviation LLC, Oklahoma City, Oklahoma, and operated by a private individual under Title 14 Code of Federal Regulations Part 91 as a personal fight. Visual meteorological conditions prevailed, and the airplane was not on a flight plan. The local flight originated from the Chickasha Municipal Airport (KCHK), Chickasha, Oklahoma. 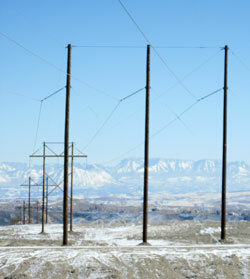 A review of radar data revealed that the flight originated from KCHK (elevation 1,152 ft) about 1510. After departure, the airplane turned to a northerly heading and climbed to 5,500 ft. The radar tracked the airplane northward before the airplane slowed and disappeared from the radar. The last radar point at 1519 recorded the airplane at 73 knots and 5,250 ft in the vicinity of the accident site. 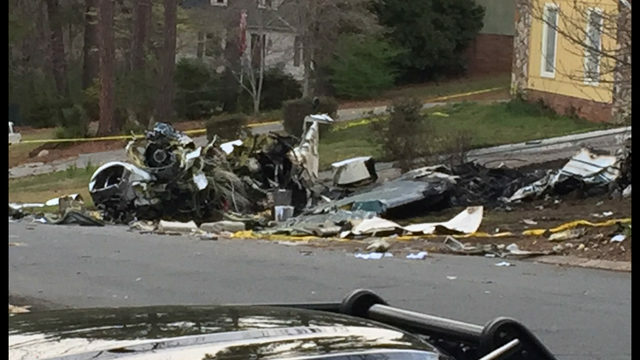 The pilot was not in contact with an air traffic control facility nor was he required to be. 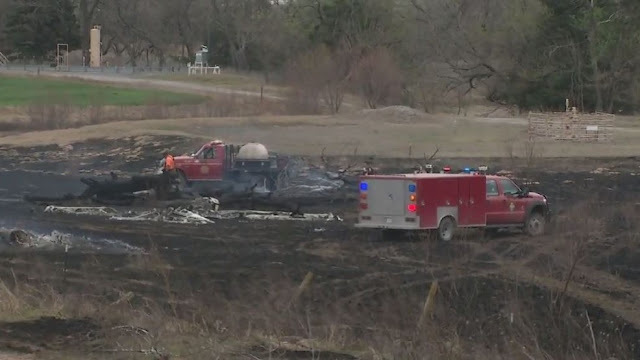 A witness reported hearing the airplane and then seeing it descending in a "spin;" the airplane disappeared behind a tree line and a fire erupted. 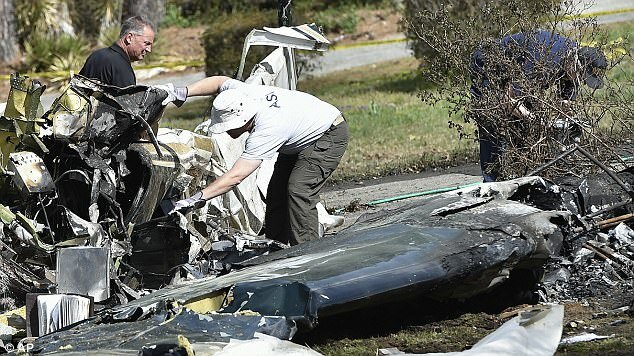 Another witness said that he heard the airplane, stating that "the engine sounded weird, like cutting in and out." The witness added that he heard the crash and saw smoke and fire. The pilot held a private pilot certificate with ratings for airplane single-engine land and instrument airplane. The pilot's third-class medical certificate was issued on October 20, 2015, with the limitation: "must wear corrective lenses." 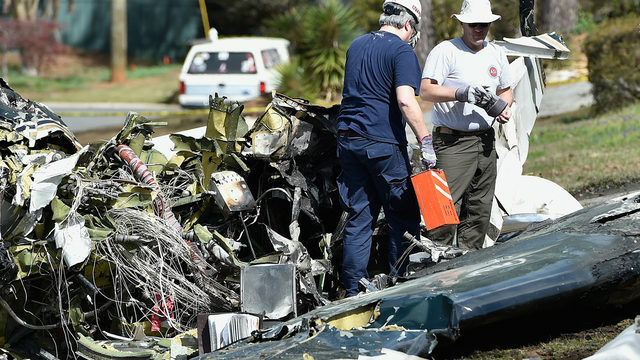 A review of the pilot's logbook revealed that he had 286.5 hours total flight and 19.3 hours in the accident airplane. The Beechcraft V35B is a 4-place, low-wing, single-engine airplane with retractable landing gear. The accident airplane was powered by a 300-horsepower, 6-cylinder, reciprocating Continental IO-550 engine, which drove a constant-speed propeller. The normally aspirated engine was modified with the addition of a turbocharger. The airplane was also modified with two 20-gallon wing tip fuel tanks. These modifications were approved under supplemental type certificates (STCs). A review of the airplane's maintenance records revealed the airplane's most recent annual inspection was conducted on January 16, 2017, at a total airframe time of 5,074.5 hours. 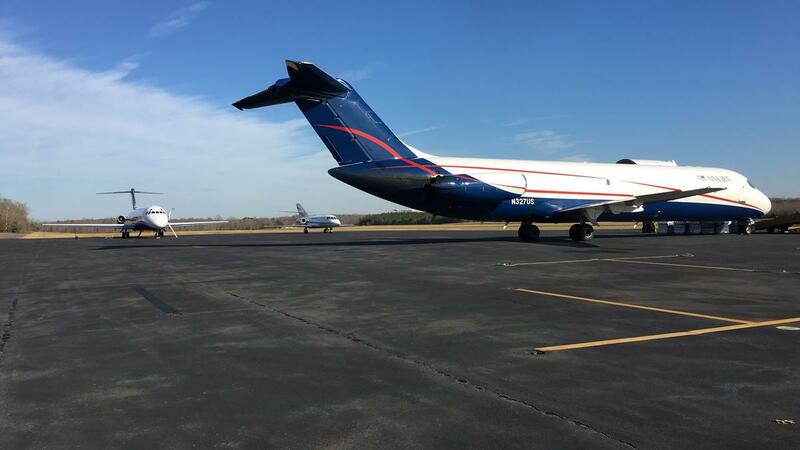 A review of Federal Aviation Administration (FAA) records revealed that JE Aviation LLC's purchase of the airplane was completed on March 2, 2017. At 1535, the weather observation facility located at KCHK, located about 18 miles south of the accident site, recorded wind 220° at 22 knots gusting to 29 knots, 10 miles visibility, clear sky, temperature 77°F, dew point 36°F, and an altimeter setting of 29.69 inches of mercury. Astronomical data from the U.S. Navy Observatory for Chickasha recorded a sunrise on March 24, 2017, at 0704 and sunset at 1947. The airplane impacted an open field located in a rural, lightly wooded area. A postcrash fire consumed most of the airplane and ignited a brush/grass fire which also consumed small buildings located near a residence. The on-site examination of the of the impact site revealed an absence of a wreckage path, and small ground creators, near the engine and right-wing tip. Damage to the nose of the airplane, wings, and the flat position of the wreckage along with the ground scars, are were consistent with the airplane impacting terrain in a slightly right-wing-down, nose-low attitude, with little forward velocity. 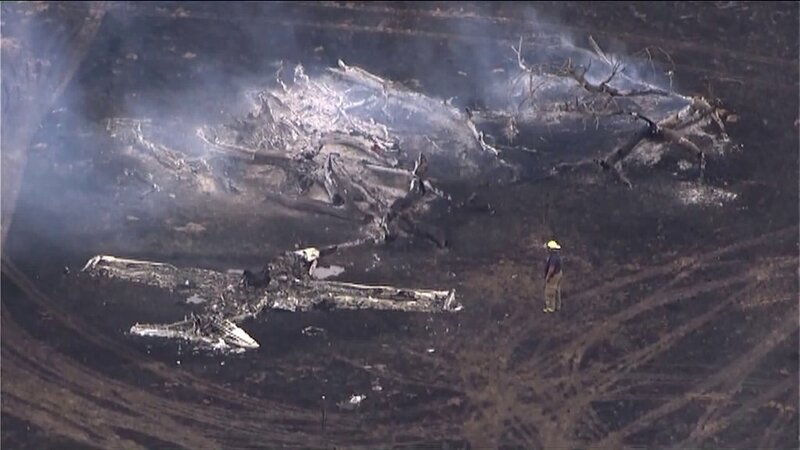 The airplane's fuselage and wings were largely consumed by the fire, leaving heavier structures and an outline of the components. Flight control continuity from the control column to both the left and right ailerons bellcranks was confirmed. The ruddervator cables were traced to the control column and rudder pedals. The control column and pedals were impact-damaged; however, the attaching hardware for the flight controls was in place. All three of the airplane's landing gear were in the "down" position with the gear actuator in the extended (gear down) position. The cabin's instrument panel and avionics were destroyed by impact and fire damage. After the initial on-site documentation of the wreckage, the airplane was recovered and transported to a salvage facility. A detailed engine examination was conducted on April 20, 2017, at the salvage facility by the National Transportation Safety Board (NTSB) investigator-in-charge and a technical representative from the engine manufacturer. The engine received extensive fire damage and impact damage, and the three-bladed propeller remained attached to the crankshaft flange. Initially, the engine would not rotate by hand; however, when an extension was applied to the crankshaft, a "pop" was heard and the crankshaft would rotate with difficulty. Later, when the engine was disassembled, it was confirmed that the camshaft had broken just before the camshaft gear. No preimpact abnormalities were noted with the crankshaft or through the valve train. The magnetos were fire damaged and could not be field tested. The fuel metering unit, manifold, and fuel pump were examined; all had either fire or impact damage. The turbocharger had impact damage and was partially melted. The top set of sparkplugs were removed; the plugs exhibited light colored combustion deposits; and the electrodes exhibited normal signatures. Although the examination was limited by thermal and impact damage, no pre-impact abnormalities were noted during the airframe or engine examinations. The Office of the Chief Medical Examiner, Oklahoma City, Oklahoma conducted an autopsy on the pilot. The cause of death was determined to be "multiple blunt force injuries and thermal injury"
The FAA Bioaeronautical Sciences Research Laboratory, Oklahoma City, Oklahoma, conducted toxicological testing on the pilot. The specimens were not tested for cyanide and carbon monoxide. The tests were negative for ethanol and positive for aproxen, and ertraline. Naproxen is an overthecounter anti-inflammatory pain medication commonly marketed with the names Naprosyn and Aleve; it is not impairing. Desmethylsertraline is a metabolite of ertraline, which is an antidepressant prescription medication, often marketed under the name Zoloft. While Zoloft is not generally considered impairing, the underlying depression can impair cognition, judgment, and slow psychomotor responses. As a result, depression is a disqualifying condition to the FAA, but medical certificates may be issued if the depression is in remission for at least 6 months. 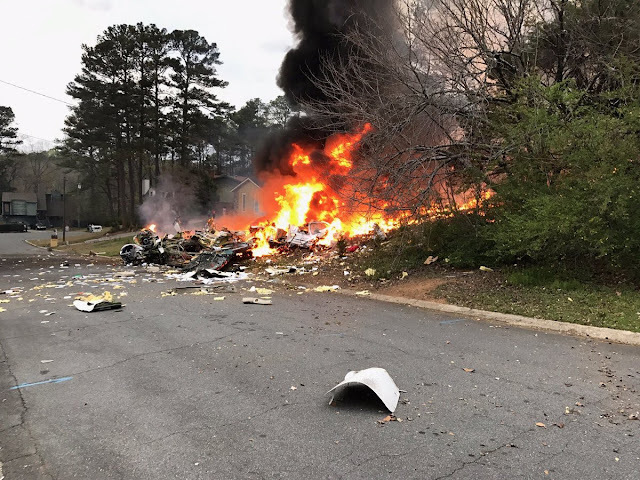 In this case, personal medical records were not obtained and the status of the pilot's psychiatric illness at the time of the accident is unknown. On March 24, 2017 about 1520 central daylight time, a Beechcraft V35B, airplane, N2053Y, impacted terrain near Union City, Oklahoma. 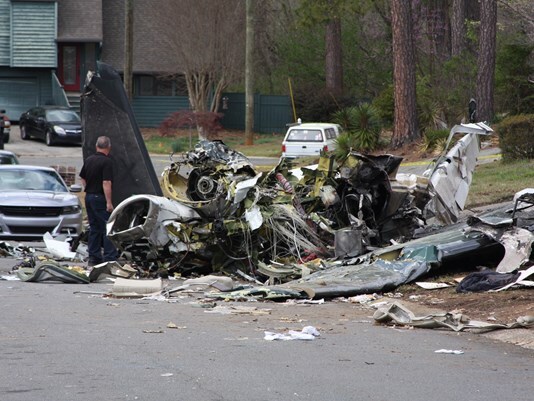 The private rated pilot was fatally injured, and the airplane was destroyed. The airplane was registered to and operated by a private individual under the 14 Code of Federal Regulations Part 91 as a personal fight. Visual meteorological conditions prevailed and the airplane was not on a flight plan. The local flight originated from the Chickasha Municipal Airport (KCHK), Chickasha, Oklahoma. A witness reported hearing the airplane and then seeing the airplane descending in a "spin"; the airplane disappeared behind a tree line and a fire erupted. 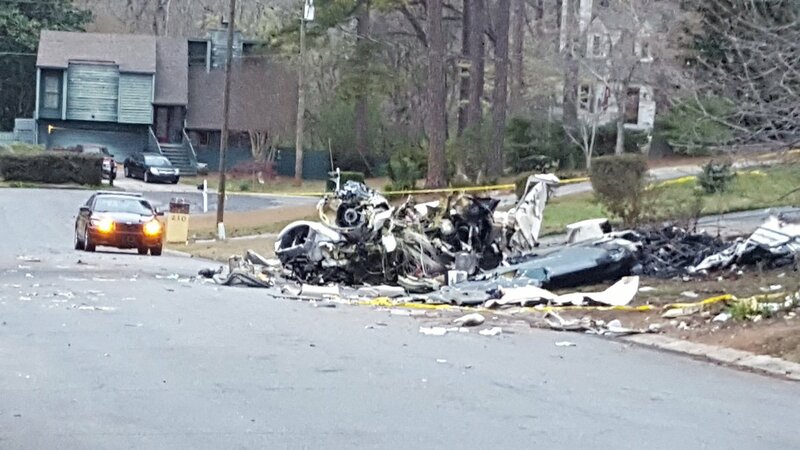 Another witness, who did not see the crash, said they heard the airplane, stating that engine sounded weird, like cutting in and out. The witness added that he heard the crash and saw smoke and fire. 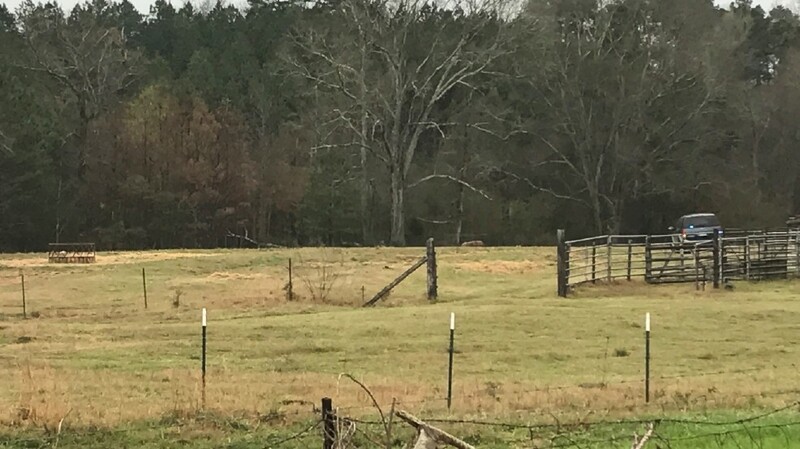 The on-site examination of the wreckage revealed the airplane impacted an open field located in a rural, lightly wooded area. The postcrash fire ignited a brush/grass fire which also consumed sheds located near a local residence. The postcrash fire also consumed much of the airplane. 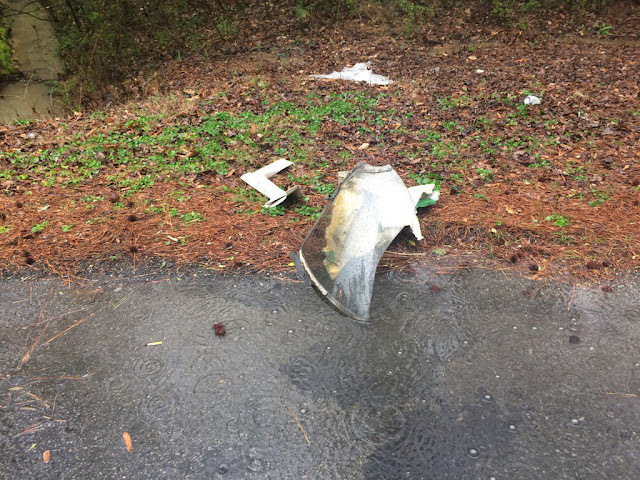 A preliminary review of radar data, revealed that the accident flight originated from KCHK about 1510. After departure, the airplane turned to a northerly heading while climbing to 5,500 feet. The radar tracked the airplane northward; before the it slowed and disappeared from the radar. The last radar point at 1519 recorded the airplane at 77 knots and 5,200 feet. After the initial on-site documentation of the wreckage, the airplane was recovered to a secure facility for further examination. It is with great sadness that we announce the sudden passing of Eric Ryan Hensley on Friday, March 24, 2017 at 31 years of age. He lived in Oklahoma City and worked as a Territory Manager for Appareo Systems. Eric was flying his personal aircraft outside of Oklahoma City on Friday when the plane went down. Eric was born in Edmond on June 22, 1985. He grew up in Tulsa and attended Jenks High School where he graduated in 2004. Eric attended Oklahoma State University and earned his Bachelor of Science in Marketing in 2007 then earned his Masters of Business Administration at Texas State University in 2009. After graduation Eric lived in Austin, Texas and worked in the Economic Development area of the San Marcos Chamber of Commerce. In 2010 he moved to Oklahoma City and began working for Chesapeake Energy as a Landman. After five years with Chesapeake he moved on to pursue his passion, aviation. He earned his private pilot license in 2016 and began working for Appareo Systems. Eric was a passionate person with a big heart and an even bigger smile. He was kind to everyone he met and always put others first. Eric loved his family fiercely and was a loyal friend that could always be depended on. 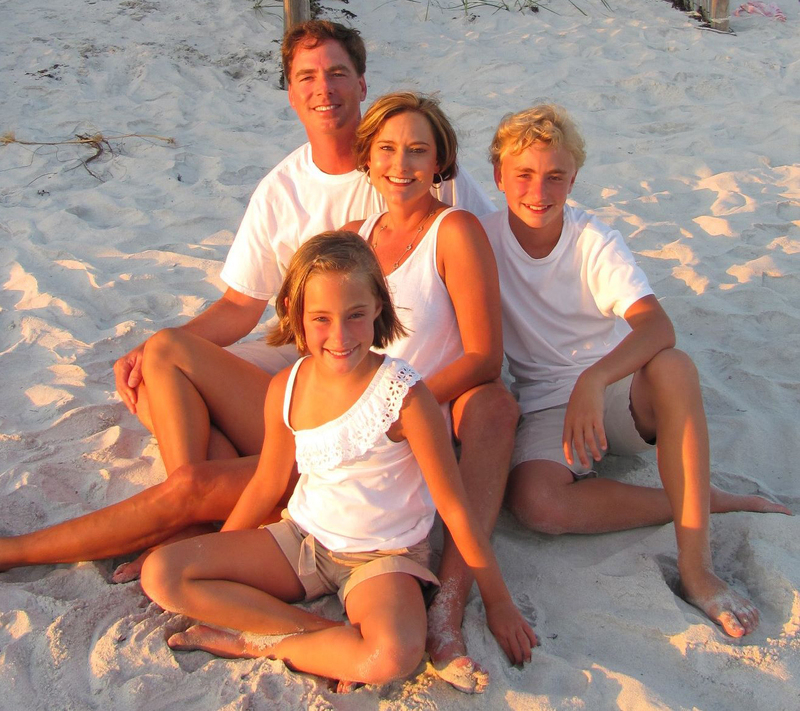 Eric loved flying, music, playing the guitar, fishing, hunting, and was an Eagle Scout. He was unconditionally generous and believed that God blessed him to be able to bless others. He and Lara Dawn Upshaw were married on July 19, 2014, and his life was forever changed with the arrival of their daughter, Reese, in October 2016. He loved his baby girl and his wife with every ounce of his soul and it was apparent just by the way he looked at them. Lara and Reese were his two greatest loves and everything he did in life was for them. Eric will be forever remembered by his loving wife Lara and their infant daughter Reese, by his parents Jerry and Diane Hensley (Tulsa), his sister Sara Andrews and husband Wade and their daughter Saige (Edmond), his grandmothers Carlene Hensley (Miami) and Shirley Guerrieri (Tulsa/Miami), Lara's parents Steve and Opal Upshaw (Bartlesville/Ponca City), and numerous uncles, aunts, cousins, extended family and close friends. Eric was preceded in death by his grandfathers Glenn Hensley and Art Guerrieri (Miami). A memorial service to celebrate Eric's life will be held at Life.Church Broadway and Britton at 9001 N. Broadway Extension in Oklahoma City on Friday, March 31, 2017 at 1:00 p.m. In lieu of flowers, if desired, loved ones may donate a memorial contribution to the charity of your choosing or to the Reese Hensley Scholarship Fund at Regent Bank. (7136 S Yale Ave, STE 100, Tulsa, OK 74136). 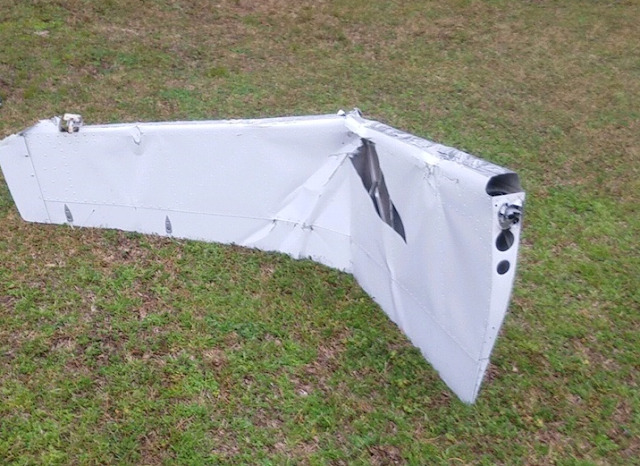 The solo student pilot reported that, during the landing flare, he “felt a big push from behind,” which resulted in a propeller strike and substantial damage to the fuselage. A review of recorded data from the automated weather observation station located on the airport revealed that, at the time of the accident, the wind was from 190° at 3 knots. The airplane landed on runway 6. The student pilot’s failure to maintain pitch control during the landing flare with a tailwind, which resulted in a propeller strike. The solo student pilot reported that, during the landing flare he "felt a big push from behind", which resulted in a propeller strike and substantial damage to the fuselage. A review of recorded data from the automated weather observation station located on the airport reported that, at the time of the accident, the wind was from 190° at 3 knots. The airplane landed on runway 6. Aircraft landed hard, collapsing the landing gear. Staff Sgt. Alexandria Mae Morrow, 25, of Dansville, New York, died in Southwest Asia while she was doing her maintenance duties in support of combat operations. MHAFB officials say she was assigned to the 366th Aircraft Maintenance Squadron and supporting Operation Inherent Resolve. A Dansville native and Air Force member was killed during a deployment to Jordan. Staff Sgt. 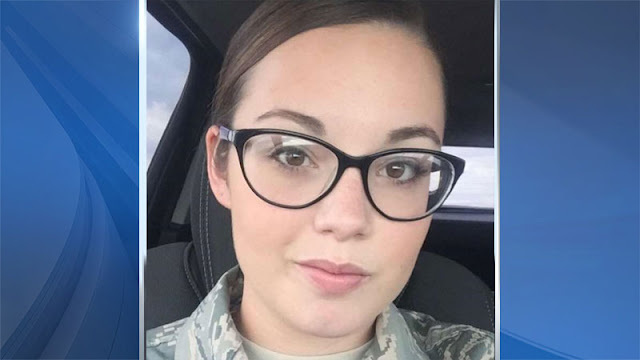 Alexandria Mae Gleason Morrow, 25, was killed while performing maintenance duties in support of combat operations. Her mother, Stephanie Gleason, confirms she died while loading a bomb onto a plane. We're told something broke and the bomb slipped. She was assigned to the 366th Aircraft Maintenance Squadron at Mountain Home Air Force Base, Idaho. 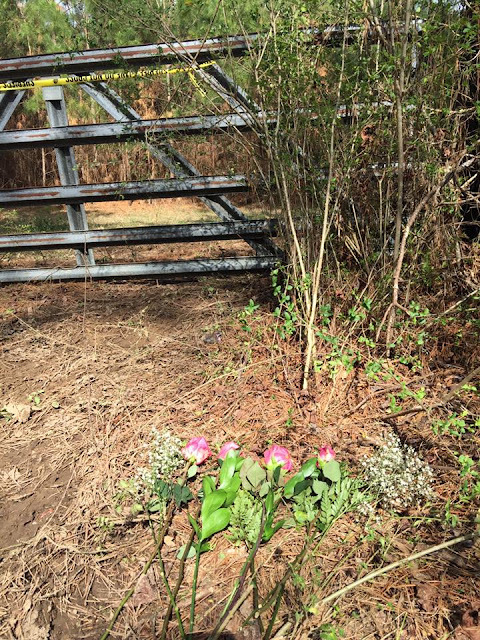 Gleason-Morrow was a married mother of two. Her children are two and four. She graduated from Dansville High School in 2009. This was her second deployment. Gleason-Morrow had been in Jordan since October. 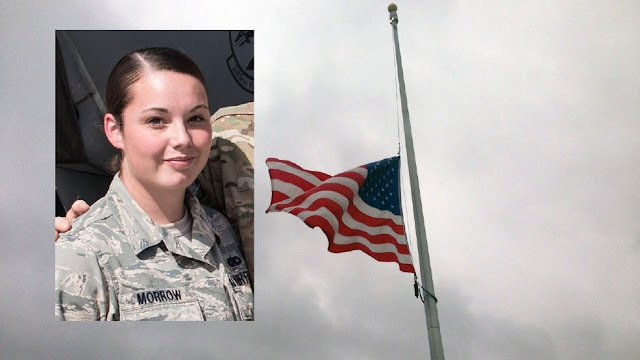 "The Dansville Central Schools family is saddened to learn of the loss of Airman Alexandria Gleason-Morrow, USAF, DHS class of 2009. Alex lost her life serving our nation while on active duty in Jordan. "Alex is remembered by classmates as "super-positive, loved by all and a person who would help anyone." She was highly regarded by teachers who recall Alex as a bright, creative and friendly student who had tremendous potential to pursue any interest and career. She was a high achiever who loved art and who established strong relationships with her teachers and classmates. Alex's mixed media piece "Chuck's" has been on display in the DHS main office since her senior year. She had aspired to become an art teacher after concluding her military career. "In Dansville we honor all service members in life and in death. Alex took the military oath and pledged her life to defend us and the USA. We feel her loss acutely because Alex was such a bright light and she is one of our own. We are here to support her family and friends now and always. "Alex will remain in our hearts, our prayers and our collective consciousness in perpetuity." Jessie Negron went to high school with Alex. She says, "It is heartbreaking especially when it is someone you know and went to school with." Negron went to Dansville High School with Alex. When she heard the news, it was hard to process at first. "She was protecting us; she was over there," Negron says. "It just clicked; it is heartbreaking; she has two kids." Alex leaves behind a husband and two children ages two and four. While serving her country was one love for her, art was another. In fact, her senior art project still hangs in the main office of the high school. Outside a new American flag was strung up Thursday for Alex, stopping half way to honor her sacrifice. The Dansville superintendent says teachers that had Alex in the classroom remember her as a bubbly and positive light that shined every day. "When you look back on the high school, you graduated from and the class you came from you may remember a few people," says Superintendent Paul Alioto. "Maybe folks you didn't know well but they embodied that class. She was one of those kids."